"I am working with authorities and have been 100% factual and consistent on every level," he said. "Despite my frustrations and deep concern with certain inaccuracies and misrepresentations that have been spread, I still believe that justice will be served." 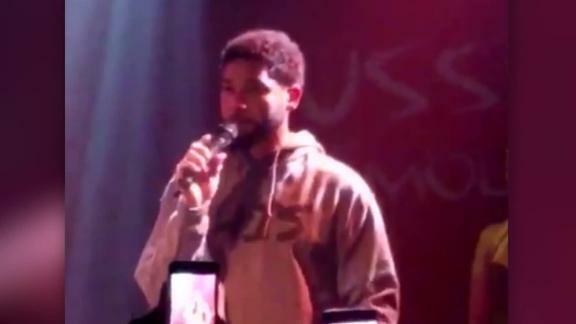 Smollett's family issued a statement Thursday supporting the actor and condemning the attack, calling it a "racial and homophobic hate crime." Chicago police have released photos of potential persons of interest in the attack and are asking for the public's help in identifying who they are. CNN's Don Lemon spoke to Smollett last week, and the actor told him he was shaken and angry that an attack like this could happen. He told him that he fought back against the attackers.